Video use in education is booming. It’s been one of the most popular learning technologies for the past several years. This is especially true in higher education, where video is increasingly used in lecture halls. Given this trend, streaming solutions for online university courses have become more important than ever before. 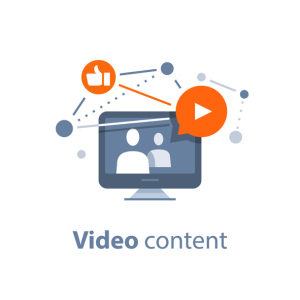 At DaCast, we know that selecting the right online video platform (OVP) can be confusing and difficult. With that in mind, our goal is to help you make an informed decision when choosing a streaming platform. Additionally, this article helps to demystify some of the available options before committing to a streaming service. In particular, we’ll compare a number of streaming solutions for online university courses, among other educational uses. First up, let’s take a look at the power of video for education in general. Universities have been pioneers in the world of online video education, especially via MOOCs (Massive Open Online Courses). A simple web search can lead you to an entire university education from many of the top institutions in the world. For example, MIT, Harvard, Berkeley, Johns Hopkins, Stanford, Duke, University of Washington, and many other universities now offer a large amount of their coursework online for free. Perhaps the culmination of this approach is the rise of the tuition-free online university. Called “University of the People,” this experimental school is actually accredited to give out degrees. Why make video available at the university level? There are a few main reasons to make video a key part of education at universities. First of all, video is how modern youth are accustomed to learning. If they don’t understand a concept, their first response is usually to hop on YouTube, rather than seeking out a tutor. In short, video allows today’s learners to reach digital natives in their own element. Online video usage for educational contexts also enables innovative approaches like the “flipped classroom.” In this approach, students watch video lectures at home. Later, in class, they spend time engaging in questions, group work, and collectively working through problems. At the University of Oxford, mathematics professor Simon Benjamin also uses the flipped classroom to improve his learning outcomes. Using video as a primary learning method allows students to go through material at their own pace. According to Benjamin, the outcomes are undeniably rewarding. 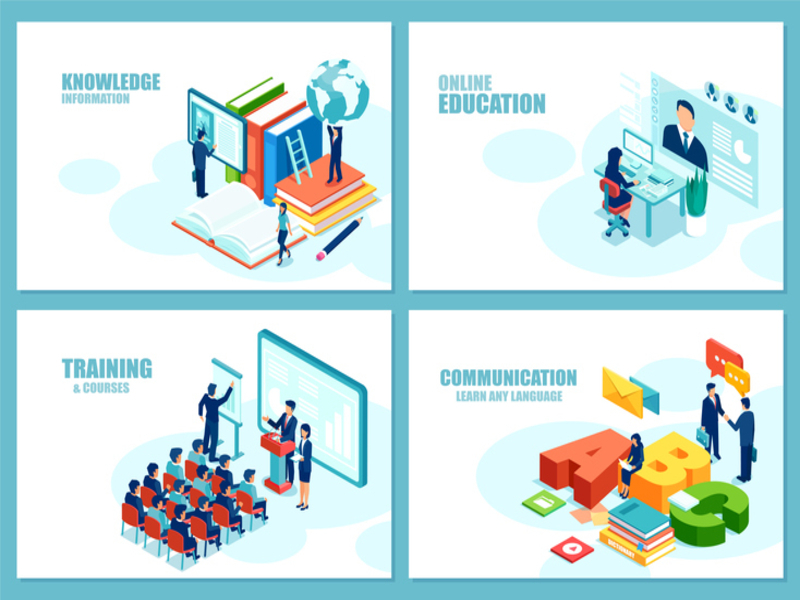 Other benefits of video education include making coursework available to students on the move or abroad, saving classroom space, and—of course–learning improvements. A 2012 study found strong evidence that video increases student motivation, enhances learning, develops student autonomy, and leads to higher grades. Another study on video education in an undergraduate medical school in London shows “significantly higher marks” for students who use video versus those who do not. The University of Michigan-Flint conducted a direct comparison between hundreds of students attending the same classes taught by the same professors. The only difference was that some of the students were in standard classes, while others heavily used video to augment learning. The results of this comparative study are stunning. Among other stats, students in the video-assisted class got an average grade half a grade point higher than the control group. These students also had a 56 percent lower rate of failing, and 36 percent more students received a B+ or higher mark. As the above information highlights, video use in education is a highly valuable tool. Now, let’s discuss some of the streaming solutions for online university courses available today. Specifically, we’ll compare four platforms: Kaltura, Panopto, IBM Cloud Video (formerly UStream), and DaCast. Each of these streaming solutions for online university courses has its own strengths, which we’ll detail for you here. The first platform we’ll take a look at here is Kaltura. Kaltura is an niche video service with a unique approach. The Kaltura platform is built around a free, open-source web application for managing video content. However, support, as well as cloud-hosting, is priced at an enterprise/large institution level (around $1000 per month). Kaltura offers basic video streaming services, as well as uploading and serving video-on-demand (VOD) via their managed cloud hosting. This means that you don’t have to use your own servers–though you can. The Kaltura platform is full-featured. Like other open-source projects, the community encourages users to code and deploy their own extensions and add-ons to make the software more powerful. This provides a great deal of functionality. However, it’s also a drawback as well. While many tools do exist, it’s not always guaranteed that they work well or consistently. Panopto is a video company that focuses on businesses and universities. Their platform enables streaming, sharing, recording, and managing of video content. 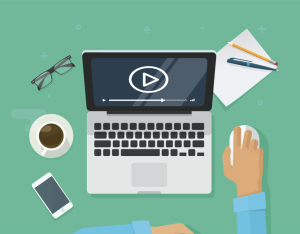 With a primary focus on internal use, Panopto provides powerful tools for creating “internal YouTubes” and integration with Learning Management Systems. The heart of Panopto is an online video organization platform. 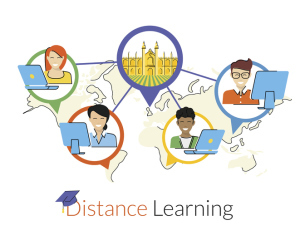 This streaming solution for online university courses can organize and distribute content with an organization like a university. 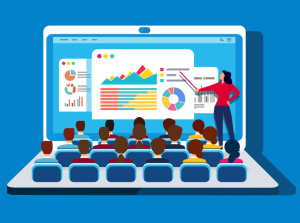 Panopto also offers lecture capture software for Windows and Mac computers, analytics, access control, and more. Pricing for Panopto is based on a licensing model where you pay an annual fee based on the number of users. After you establish a contract, there is no limit to the amount of streaming and storage you can use though. However, this points to one of Panopto’s few downsides: it’s not meant to handle any external-facing video content. As previously stated, Panopto integrates with existing LMS systems and includes several APIs for other integrations. Formerly known as UStream, IBM Cloud Video purchased the streaming service in 2018. Today, this platform provides a variety of video hosting and streaming services under its new name. The core of IBM Cloud Video includes two services: Pro Broadcasting and UStream Align. The former is a standard video streaming platform, while the latter focuses on internal video sharing within businesses and institutions. This may make it a good fit for some universities, depending on your priorities. IBM Cloud Video has a free, ad-supported membership level. Monthly plans begin at $99 and range up to $999. These plans include 720p broadcasting, embedding control, and between 100 and 5,000 viewer hours. Enterprise plans up storage limits to 1TB or more, offer full 1080p HD broadcasting, and white label/custom branding, but prices are negotiated on a per-contract basis. UStream offers a number of APIs, including a Broadcasting API, Player API and SDKs, Authentication API, and Certified Broadcasting Device API for connecting directly to certified cameras and encoders. The DaCast platform is a live streaming and video hosting platform that offers simple, affordable, and powerful streaming solutions. For universities looking to minimize the expense and fuss of getting a video system up and running, DaCast is a good choice. 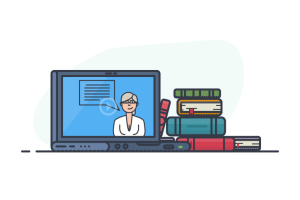 Our platform offers a variety of streaming solutions for online university courses and lectures, with lots of customization available. Faculty and staff with limited technical experience can easily pick up the platform. At the same time, broadcasters with more experience have access to a wealth of analytics, monetization, security, and configuration options. Pricing for DaCast works in one of two ways. Monthly plans start at $19 for basic levels of bandwidth (Starter plan). The Premium Plan ($125/month) offers much higher bandwidth and increased functionality. “Event Pricing,” which is designed for single events, is also available. Finally, custom plans for high volume streaming are available as well. Check out the “calculator” tab on our pricing page to get a ballpark estimate of which plan would be best for you. Our online video platform also includes systems for uploading, organizing, embedding, and live streaming online video at HD resolutions. These includes the ability to play content on all devices, restrict content access, embed on websites of your choice, and share via social media. Additionally, DaCast includes robust security, monetization via pay-per-view or subscriptions, and white label service at all price-points. A fully functional RESTful json API allows DaCast clients to extend and integrate cloud video in many different ways. Both a player and a video content management API are available to make development easier. In this article, we’ve aimed to provide you with information about how and why to use video in the educational system. 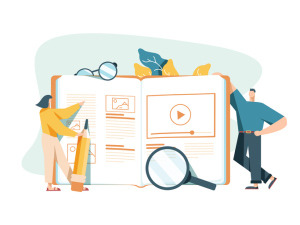 By highlighting a number of case studies; we hope to underscore the many compelling use cases of streaming solutions for online university courses and related educational contexts. Luckily, there are a number of solid video streaming services available today to help you get up and running. We hope our introduction to these offerings makes the process of choosing and implementing video a bit easier for you.When you settle on your choice of OVP, you can check out <a href=” https:=”” www.dacast.com=”” blog=”” jw-player-alternatives-live-streaming-video-kaltura-dacast=”” “=””>this guide to start live streaming your educational courses. For regular live streaming tips, as well as exclusive offers, you can also join our LinkedIn group. Ready to give the DaCast platform a try? Just click the button below to sign up for our 30-day free trial (no credit card required). We’ll have you up and streaming in a matter of minutes! Thanks for reading, and good luck with your live streams.